In this fully revised and updated edition of the classic handbook, two of Britain's leading avalanche experts look at the avalanche phenomenon from a variety of perspectives. Why and how do avanches happen? How can you avoid being caught in an avalanche? What action should you take if caught in an avalanche or witness someone else being avalanched? What are your chances of survival? 'A Chance in a Million?' 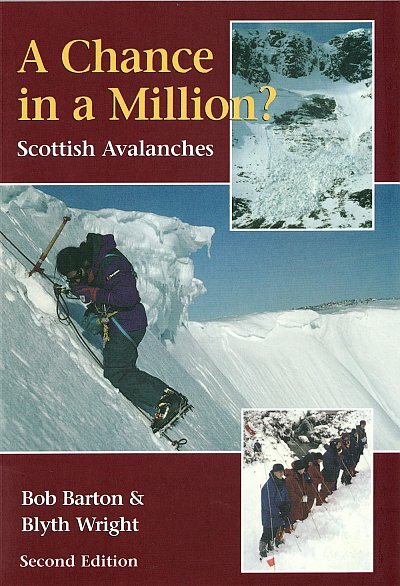 is more than a fieldbook, it also includes details of every recorded avalanche accident in Scotland, England and Wales and highlights notorious avalanche blackspots. 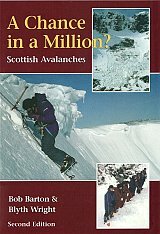 Other chapters describe the history of avanches in the U.K. (an avalanche at Lewes, Sussex, in 1836 killed eight inhabitants), the development of the Scottish Avalanche Information Service and its forecasting service, and the Black Winter of 1994/95 when 12 people died in avalanches on Scottish hills. Many tragic accidents, ironic twists of fate and remarkable escapes are described in detail through interviews and eye witness accounts.